IT'S NOT JUST English-speaking clients that are trying it on. 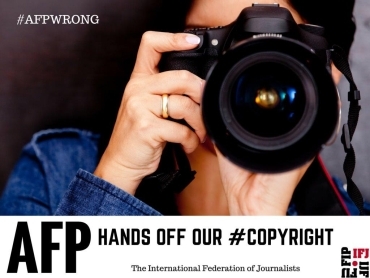 Agence France Presse (AFP) is demanding its photographic stringers across the globe, in offices outside of France, sign unacceptable contracts which include handing over all rights to exploit their photos without any additional payment. The International Federation of Journalists (IFJ) has called for an immediate revision of these contracts and is advising photographers not to sign them as they stand. The standard contract requires photographers to sign a global, irrevocable and perpetual licence to use their photos and videos in any medium, in any language, in any form including in any future products. Journalists working under a collective agreement made in 2012 and governed by French law, in contrast, receive payment for the re-use of their images.